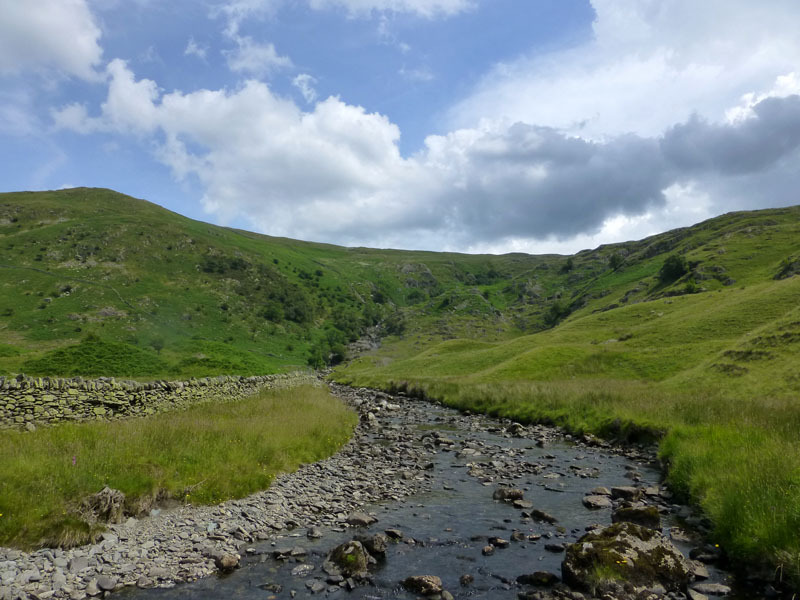 A hot day on the fells, walking from Haweswater up to Mardale Ill Bell and then along the tops of three other fells before descending into Swindale for some water therapy. 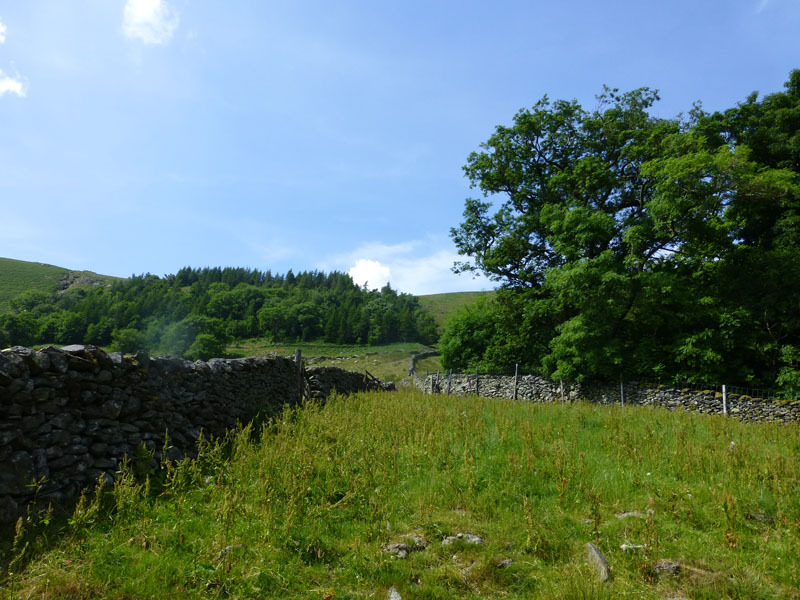 The wooded hill is known as "The Rigg"; at least it was a hill in days gone by. 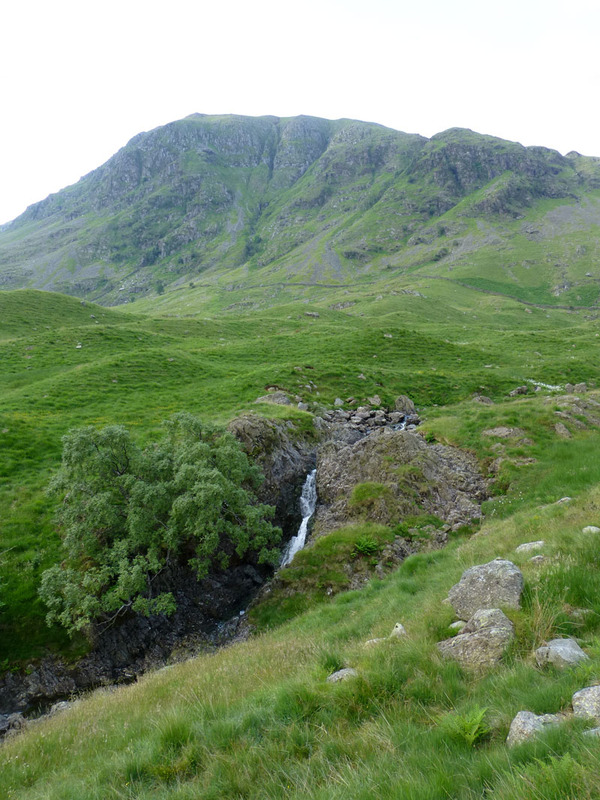 Kidsty Pike is high on the right. 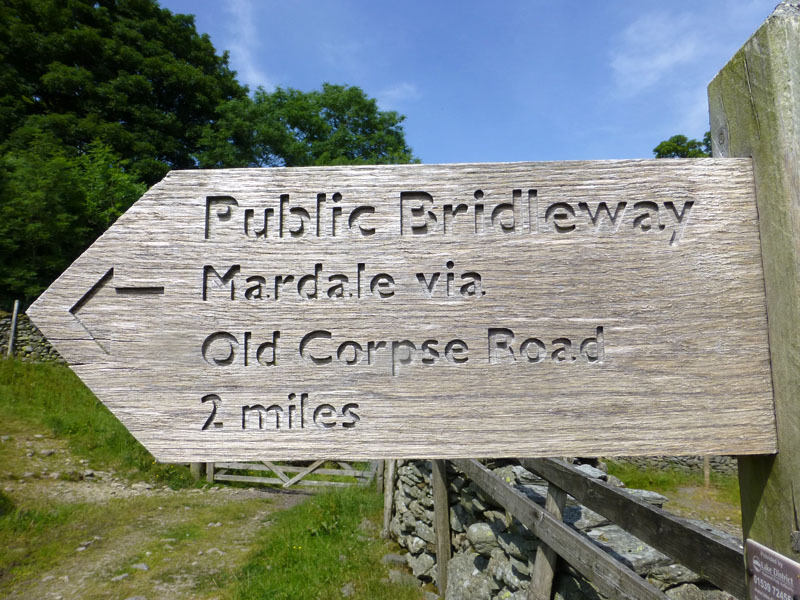 I parked at the foot of the Old Corpse Road, expecting to arrive back via that route, later in the day. 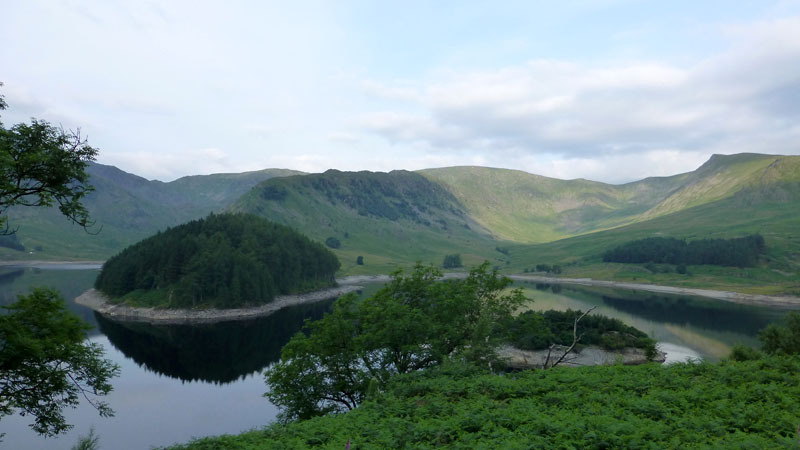 Start time 07:30hrs and initially heading for Mardale Head. 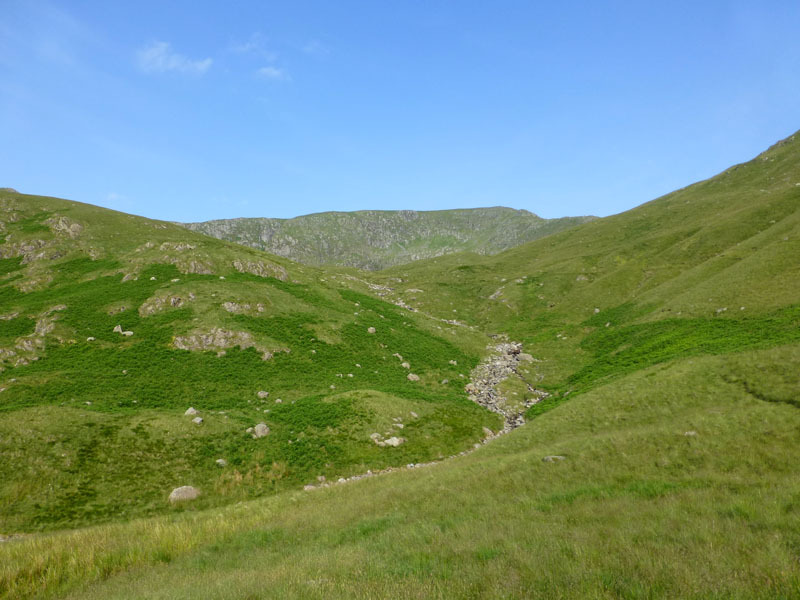 Rough Crag offers a fine route up to High Street, Mardale Ill Bell sits behind and to the left, currently in shade. 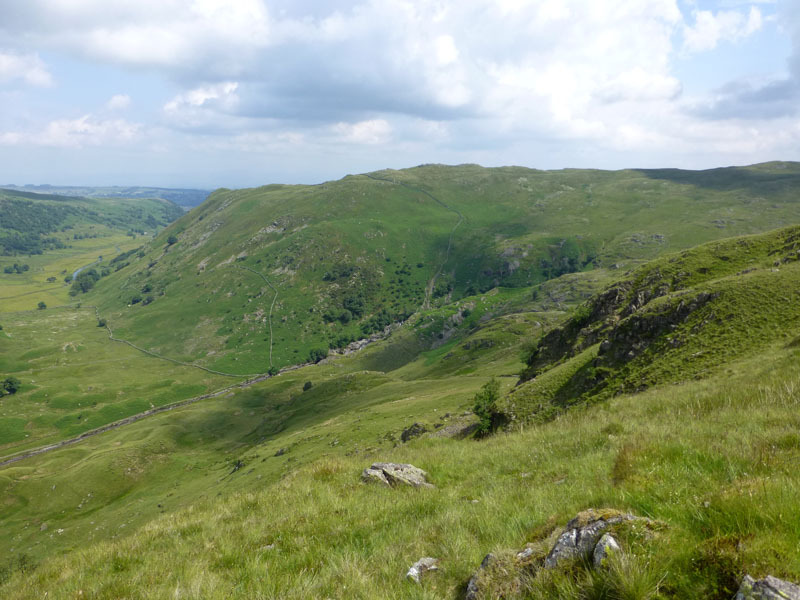 Some say this is an unspoilt corner of Lakeland; others will argue it has been ruined by the influence of Manchester Corporation Waterworks. 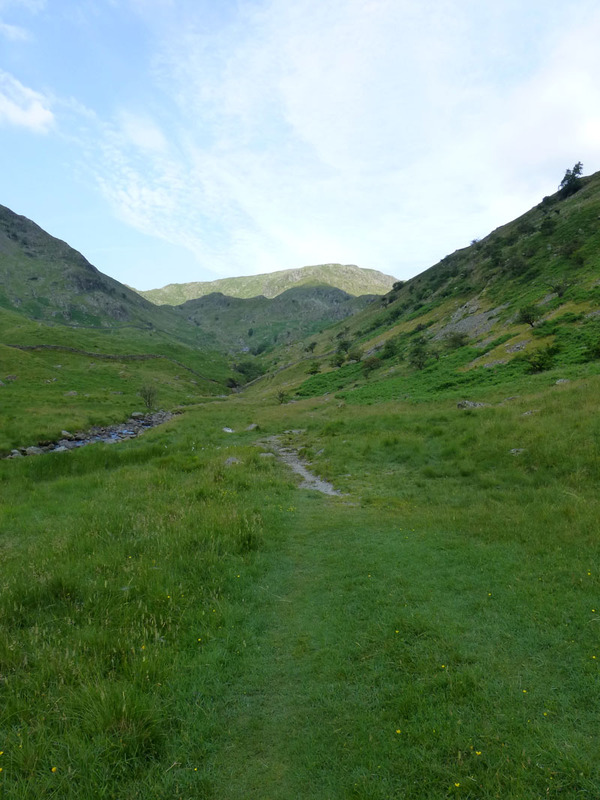 The walk headed up Mardale Beck and then Blea Water Beck for Blea Water. 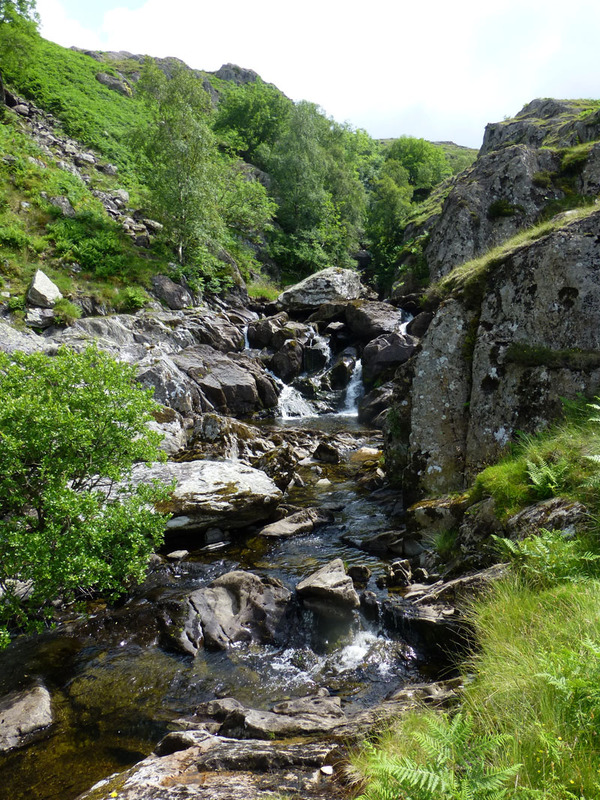 Behind Dodderwick Force is Harter Fell. That's Racecourse Hill in the background. 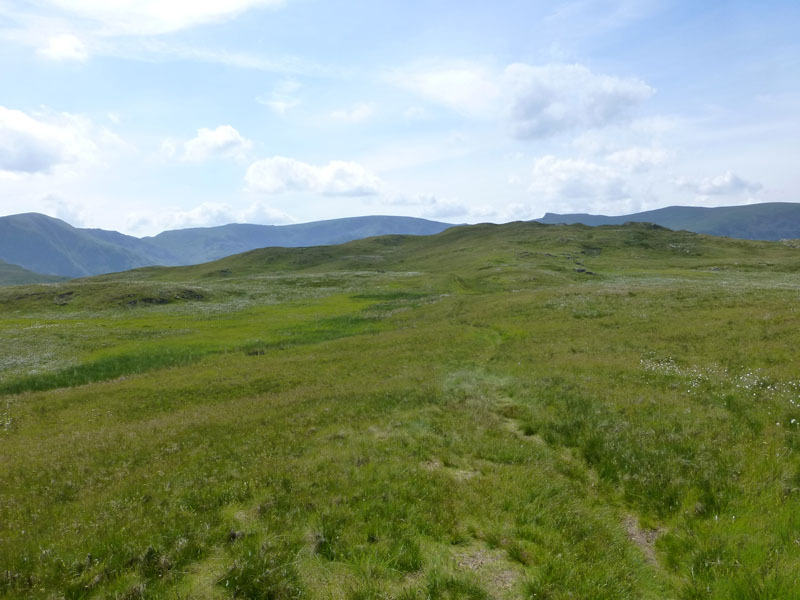 The way up to the tarn is a little boggy in places. 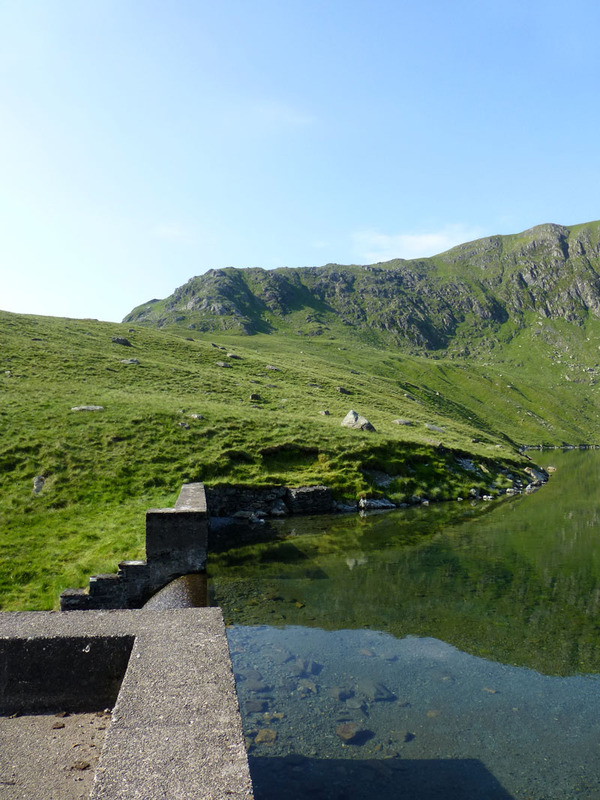 I sat in the shadow of the dam, the only shade on offer in the sweltering heat. 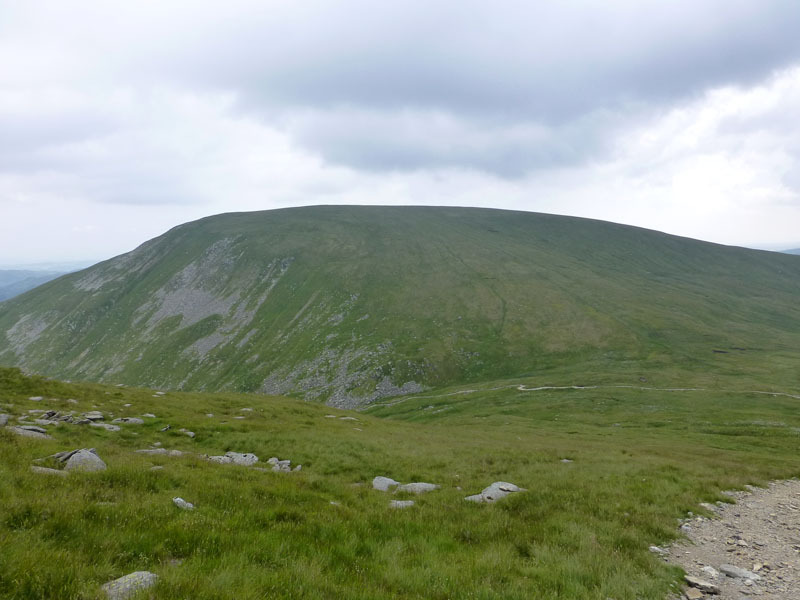 And now for the 900ft of ascent up The North Ridge. 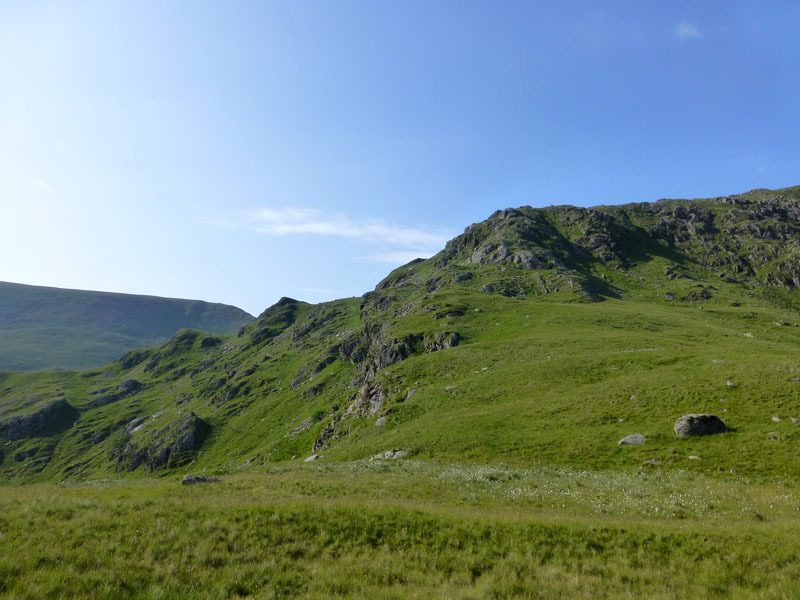 In the two dimensional image on the left, it is difficult to separate the East and North ridges, but the pointy peaks are part of the East Ridge. 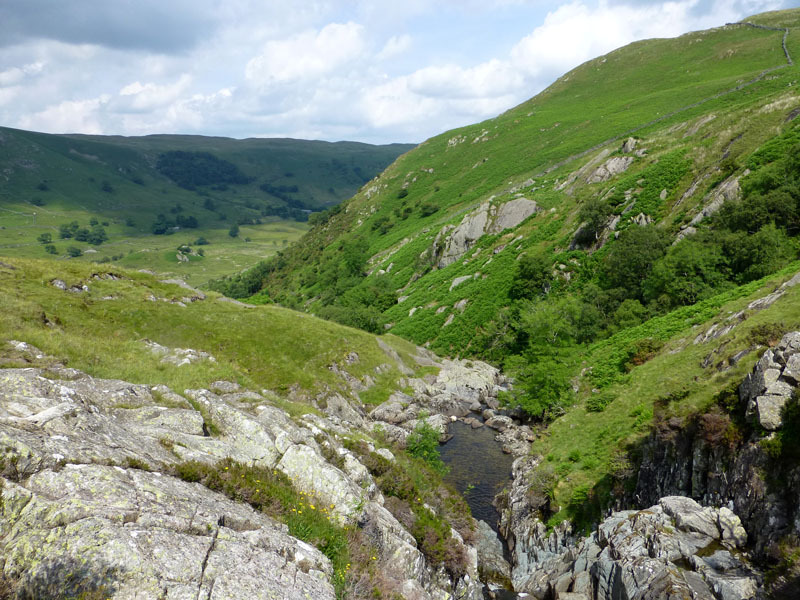 I tried with very limited success to catch the shade on the craggy ascent. 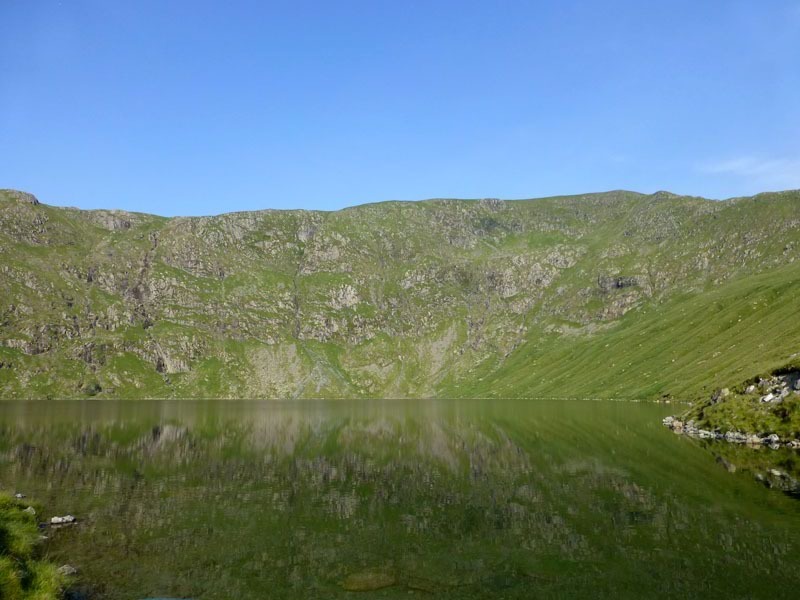 Blea Water looks fantastic on days like this, the camera cannot do the scene justice. 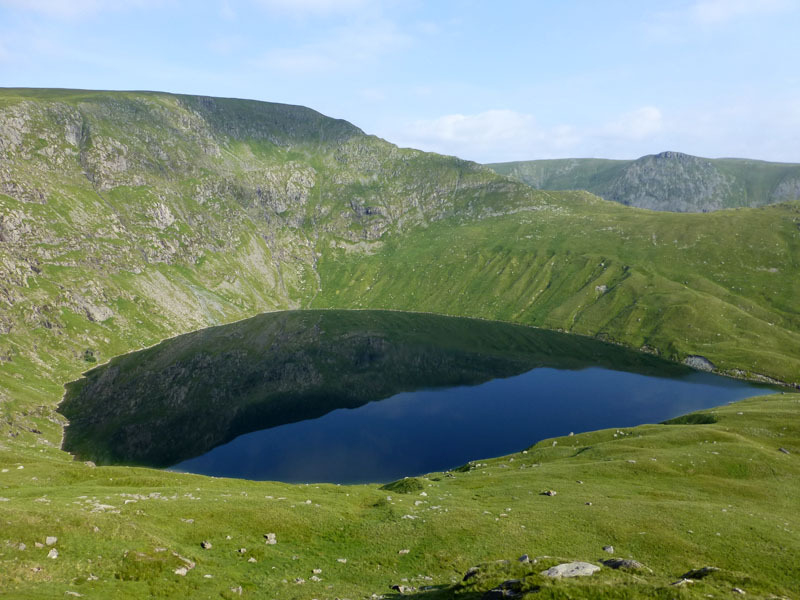 This is Lakeland's deepest tarn at about 200ft deep. Two hours from the car to the top of my first target, 2496ft asl. 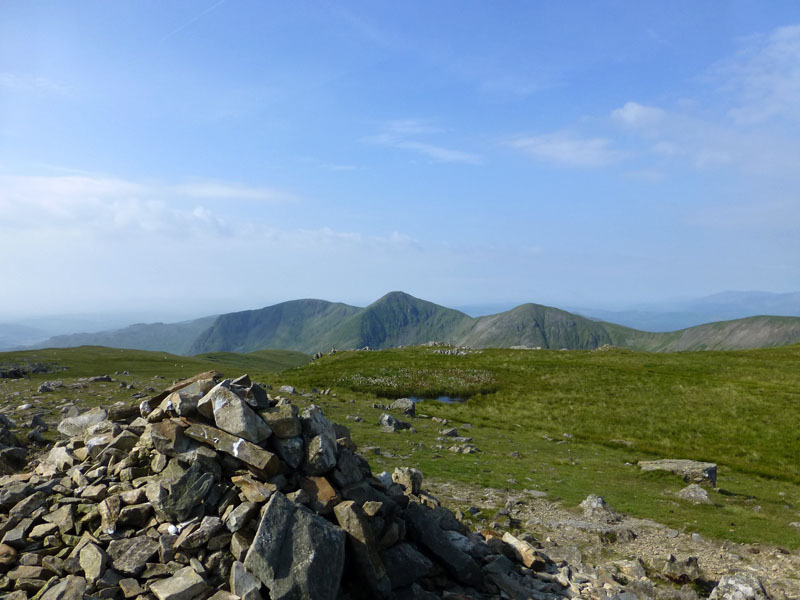 In this territory of Ill Bells, Ill Bell is the highest peak over there, with Froswick on the right and Yoke further away. 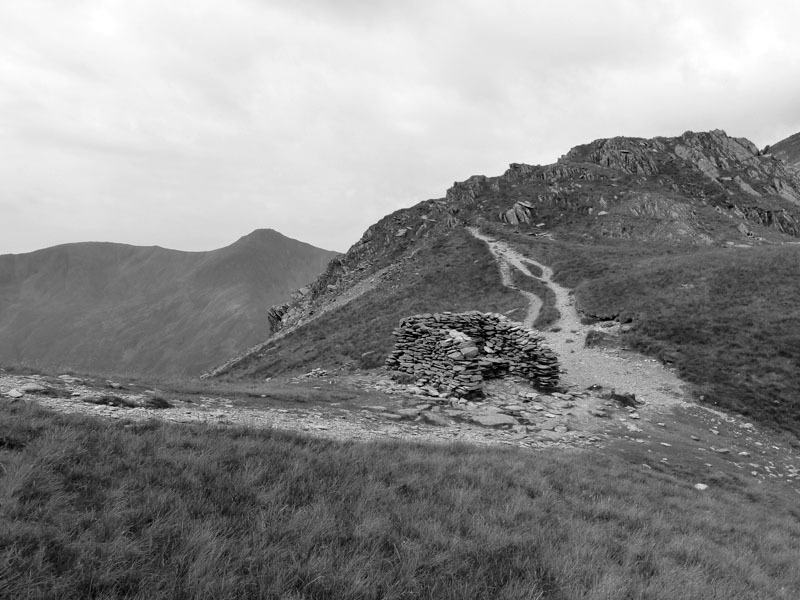 On the way to Nan Bield Pass and Harter Fell, the roof above me turned quite ugly. 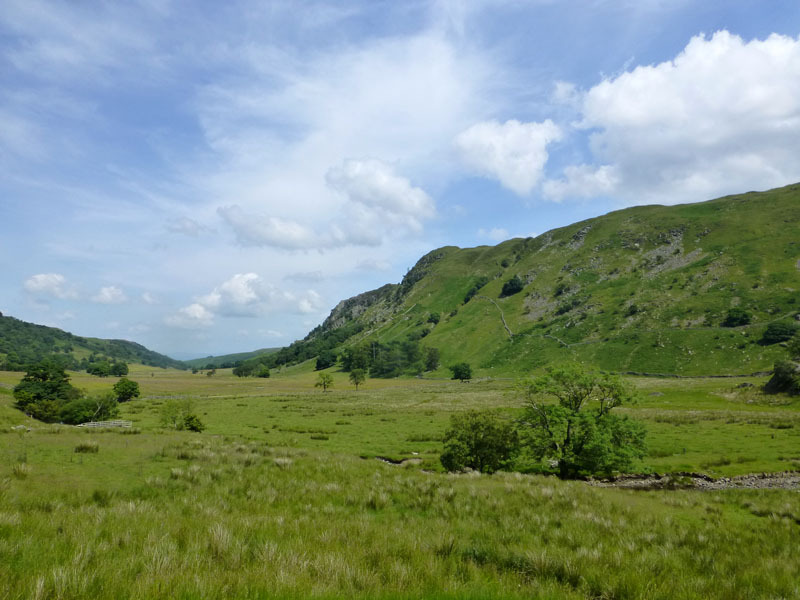 Grey hues filled the eastern sky and the sunlight was blocked out - thick haze rising out of the valleys. 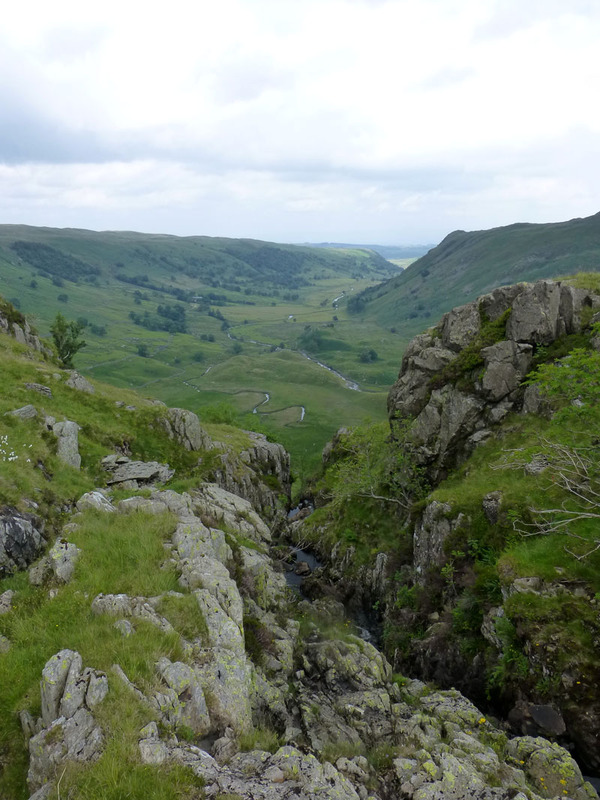 Now for the 500ft of ascent up to Harter Fell. 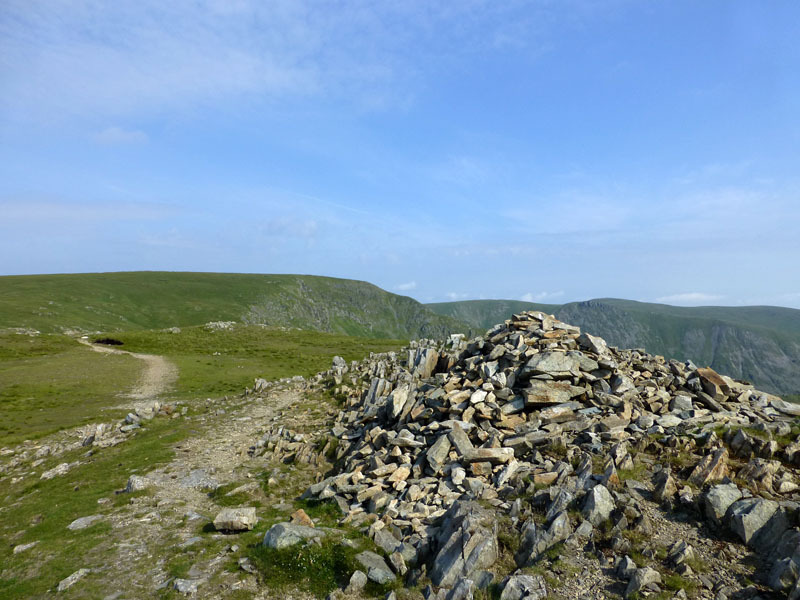 I passed another fellwalker for the first time on this part of the walk. 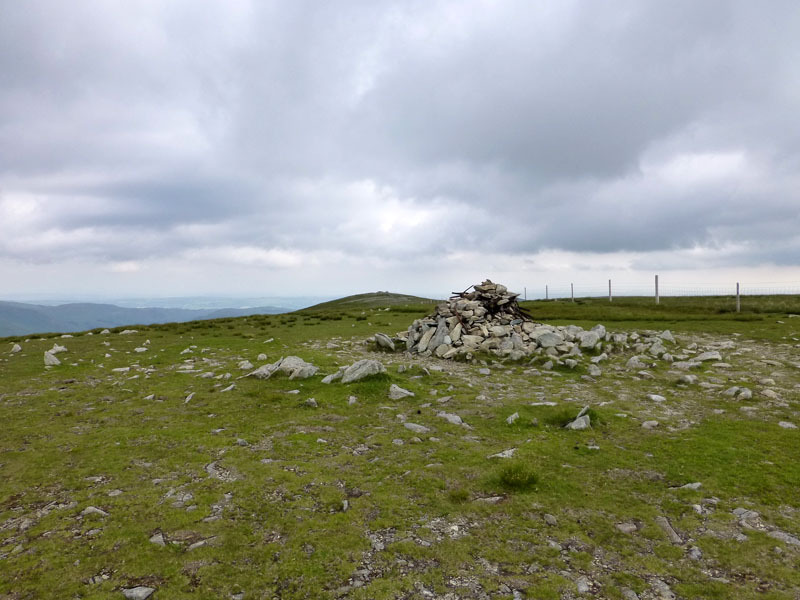 I walked across Gatesgarth Pass and up the fence to Branstree Summit. 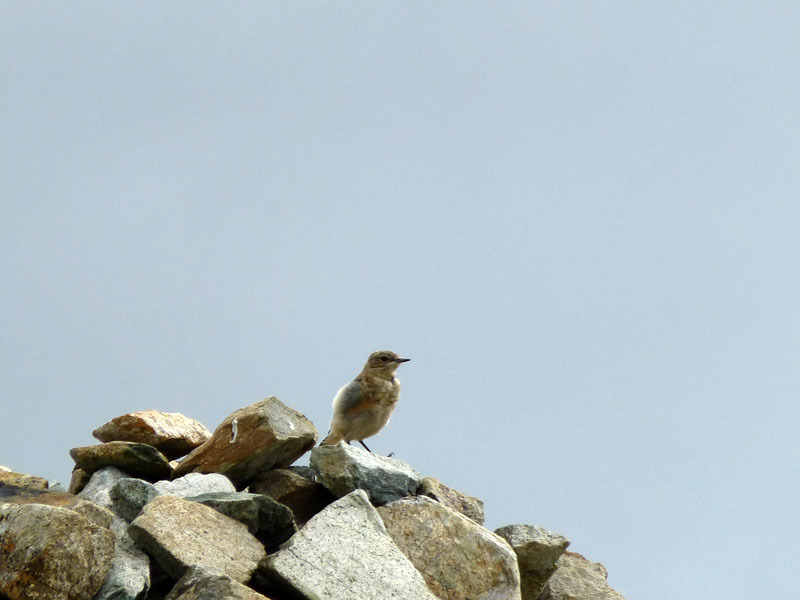 The trudge which is the fence walk up to Branstree was only enlightened by the fervent activity of the birds. I'm struggling for positives in regard of Branstree, even the dog's bowl is dry. 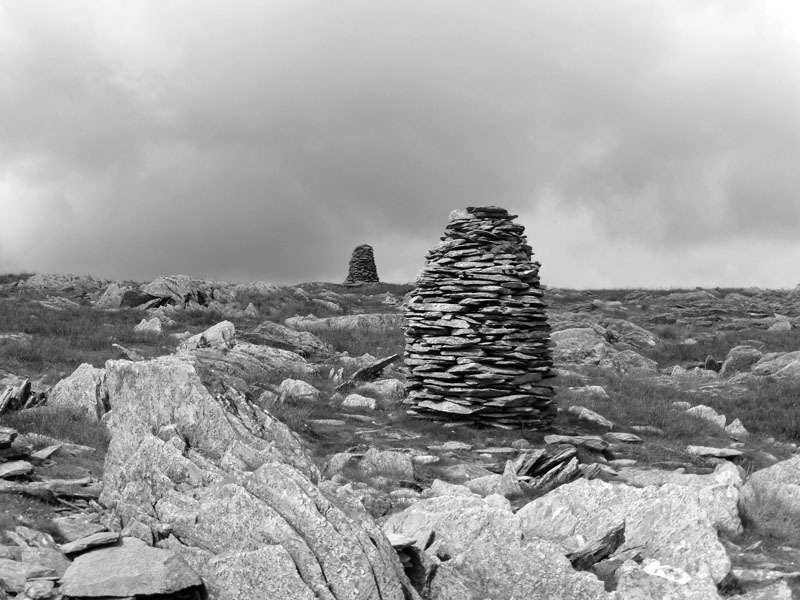 The cairns on Artlecrag Pike remain steadfast. 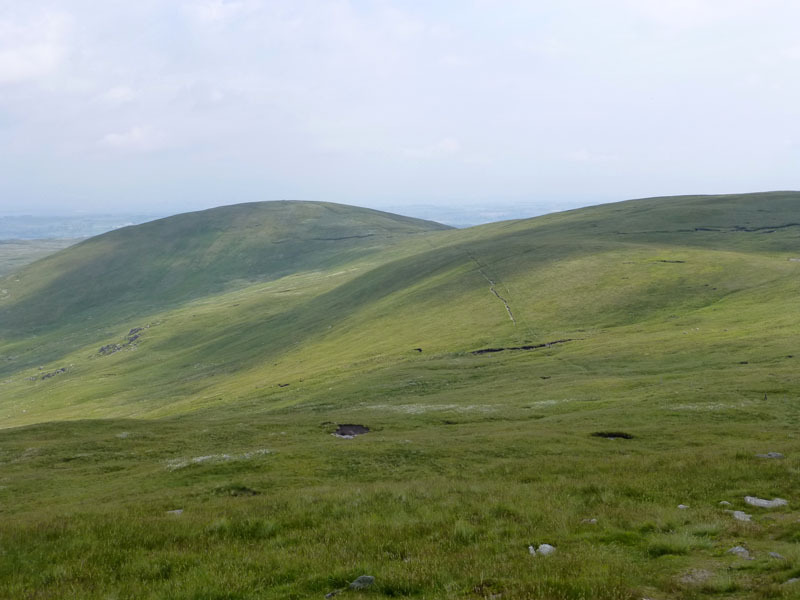 An easy 1.5 miles to Selside Pike, eventually crossing the curiously-named Captain Whelter Bog before arriving at the summit at 2142ft asl. 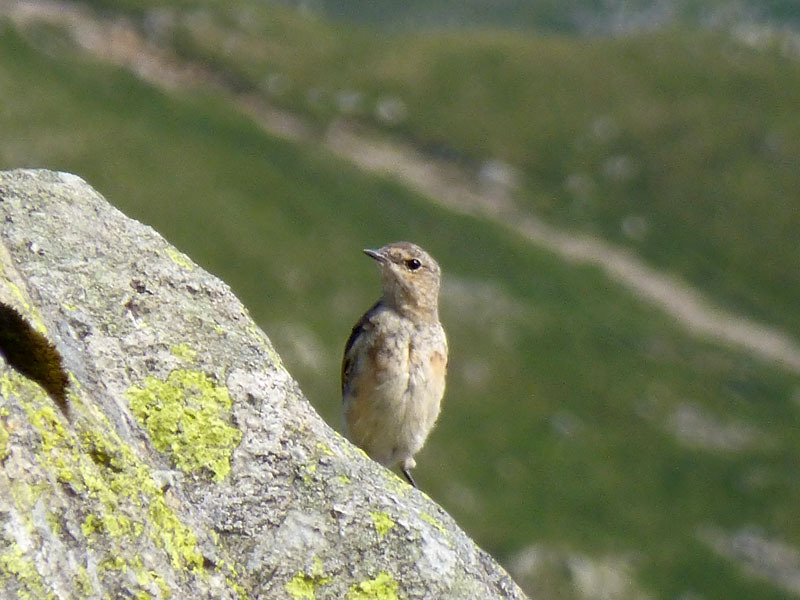 Just a word about the summits: Mardale Ill Bell - fine; Harter Fell 2nd cairn - wasps; Branstree - OK; Selside Pike - nuisance flies in abundance - I was going to have my sandwich on SP, but not with those blighters for company. 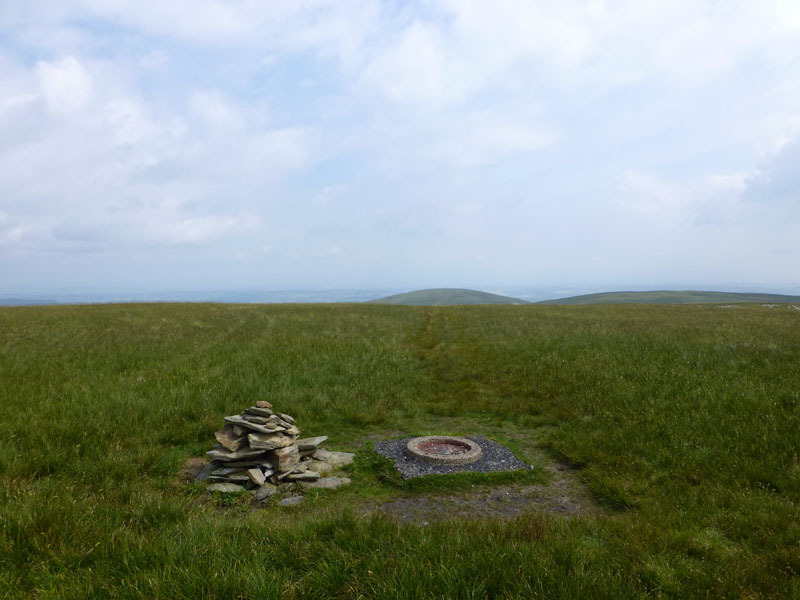 The top of Hobgrumble Gill with an excellent view of Swindale. Signs are now that the weather is again clearing. 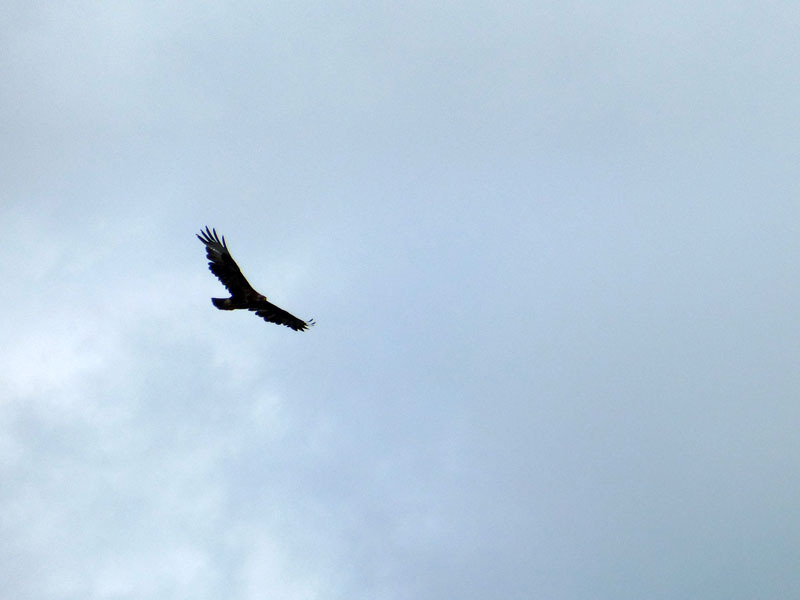 Buzzards are busy in the air above me. 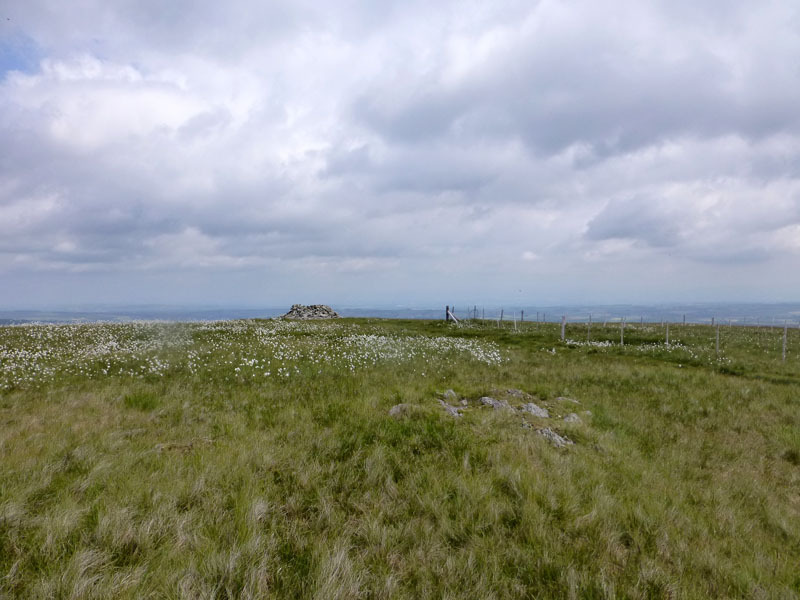 Glade How is a small summit on the fellside over there. One Buzzard was showing me particular attention, which suggests I was in the vacinity of a nest, but I was never on the crag faces. 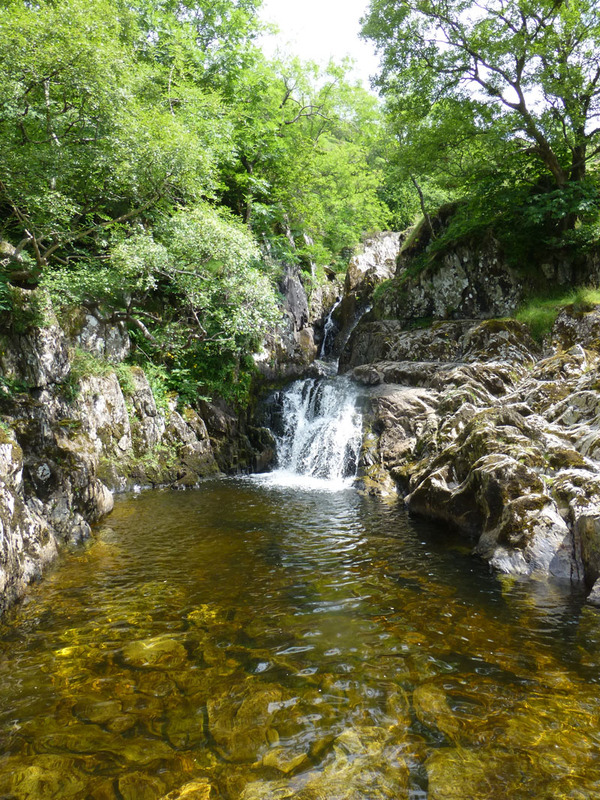 A good example of tautology; these are, in my opinion, the finest series of waterfalls within the Lake District National Park. Better still, they are not easy to get to with motorists stuck at least two miles away. 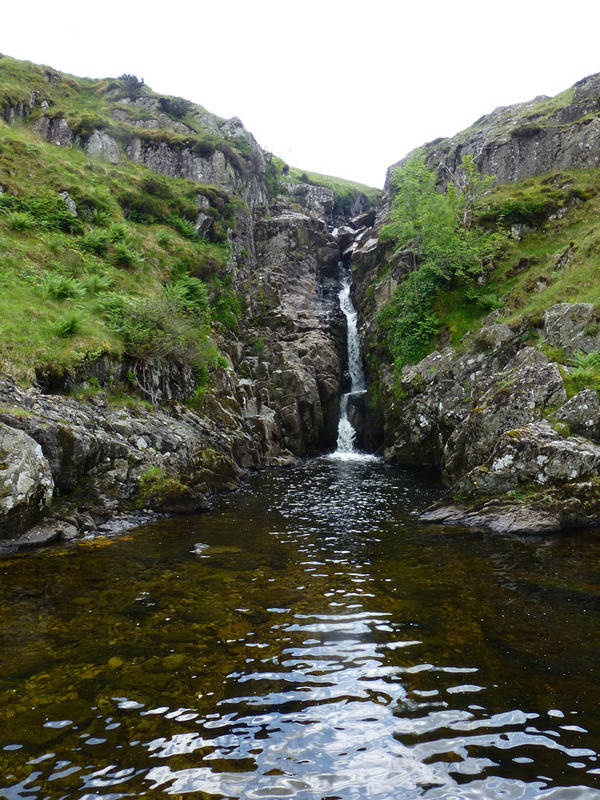 I had intended to choose from any of the top three pools for a cooling off dip in the water. Pool two was occupied by the same (presumably) naked man that was here last time (2 years ago). I find that his behaviour in this kind of location unacceptable, effectively excluding most others from sharing the experience. 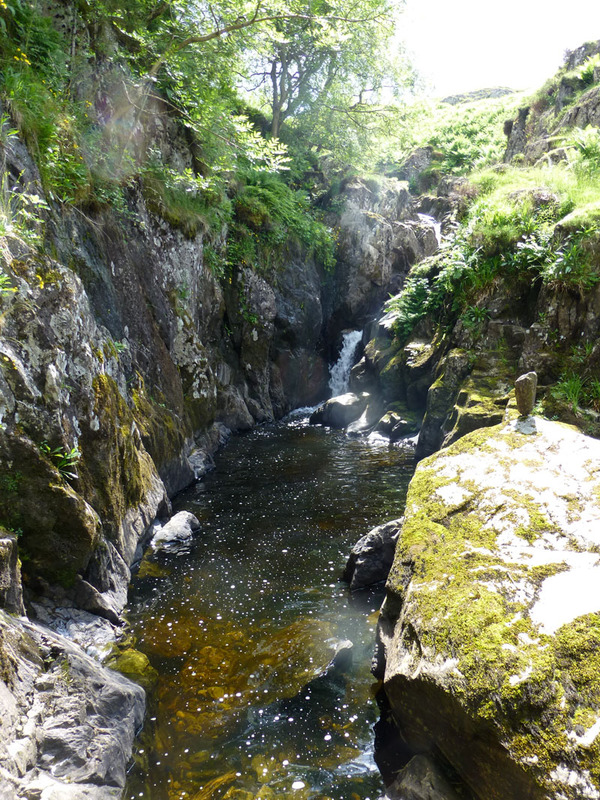 I wore appropriate swimwear and took the pluge - fantastic! 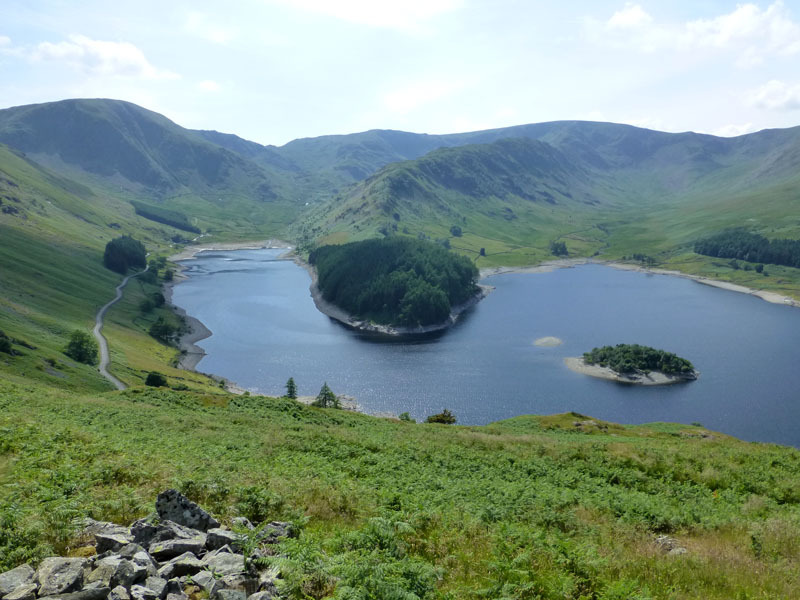 I knew from the moment I parked the car that the walk would finish with one last mid-afternoon ascent - 700ft over the hill and back to Mardale. 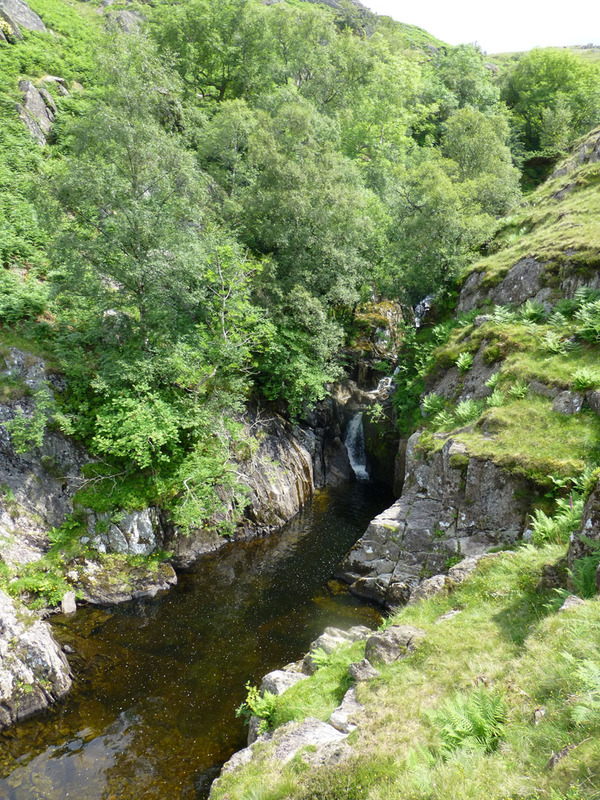 Having had more than an hour of delightful relaxation in Swindale, my legs were quite unwilling to tackle this climb. 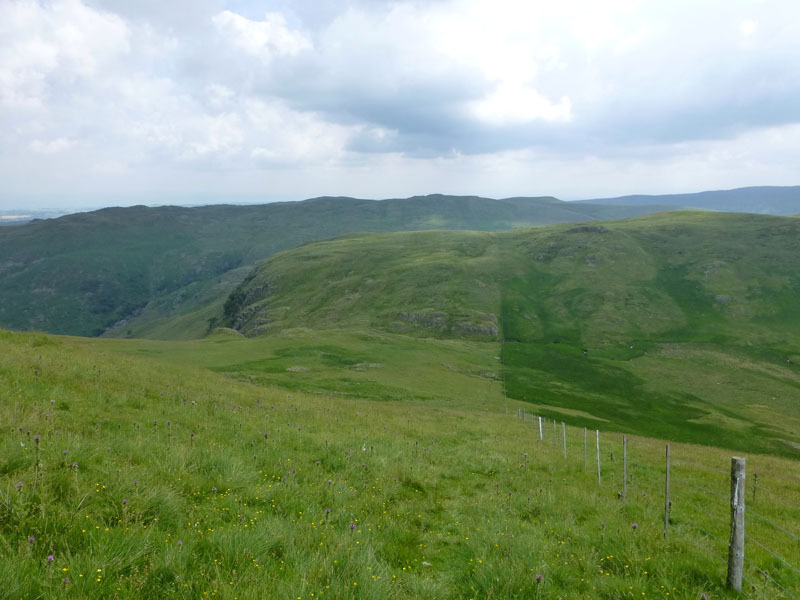 Pity the godfearing folk traipsing their dead over this hill! 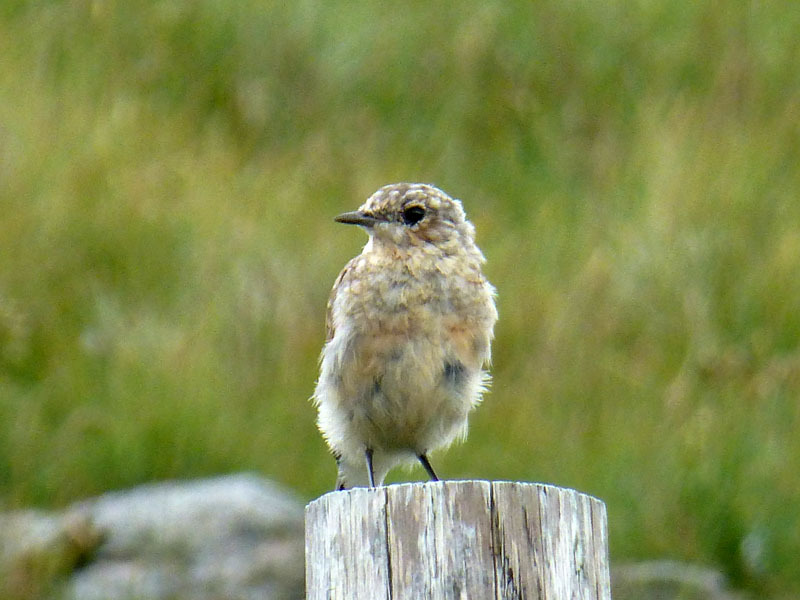 The hard work done, this was a pleasant enough way to round things off. I walked past three others heading the same way, that's about as busy as it got on this walk. 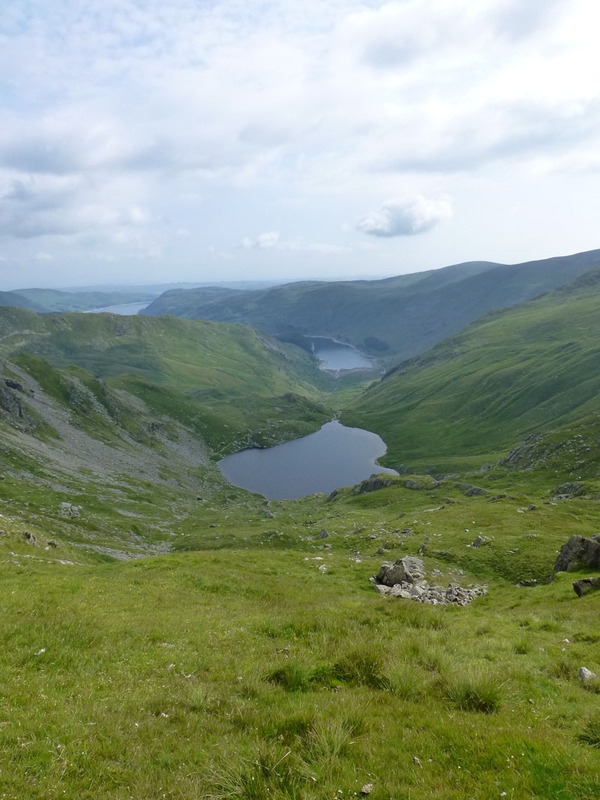 On the other side of Haweswater are Whelter Crags, part of Low Raise. 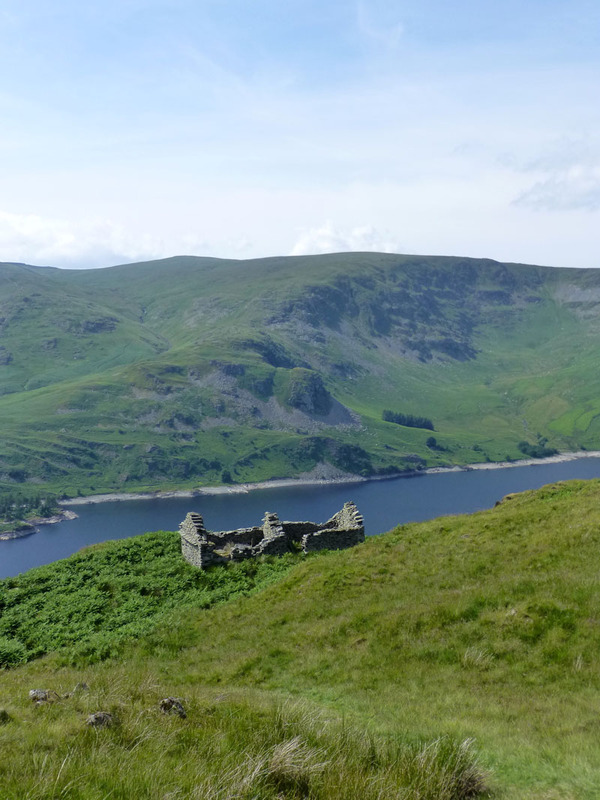 More than one of these ruined buildings are seen here, maybe they were refreshment facilities for the coffin carriers. Time taken: 8hrs over a distance of about 12 miles. 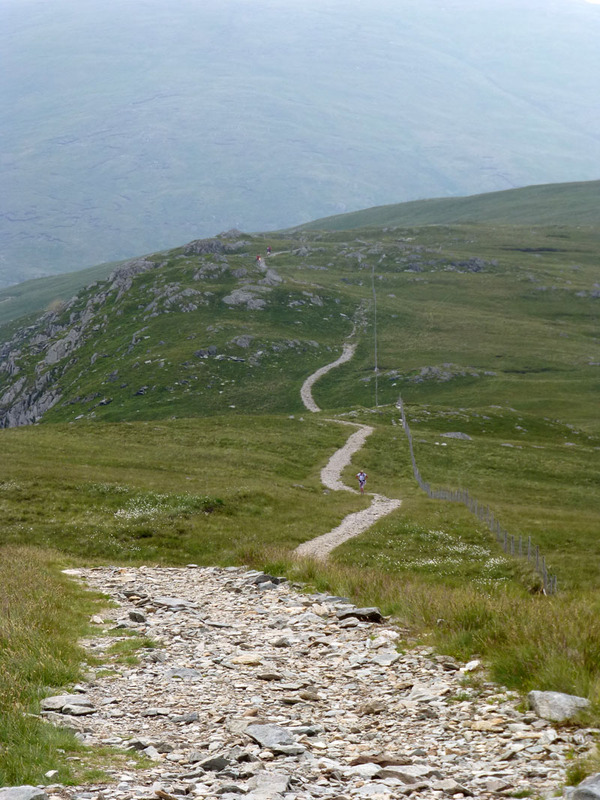 4,056ft of ascent. 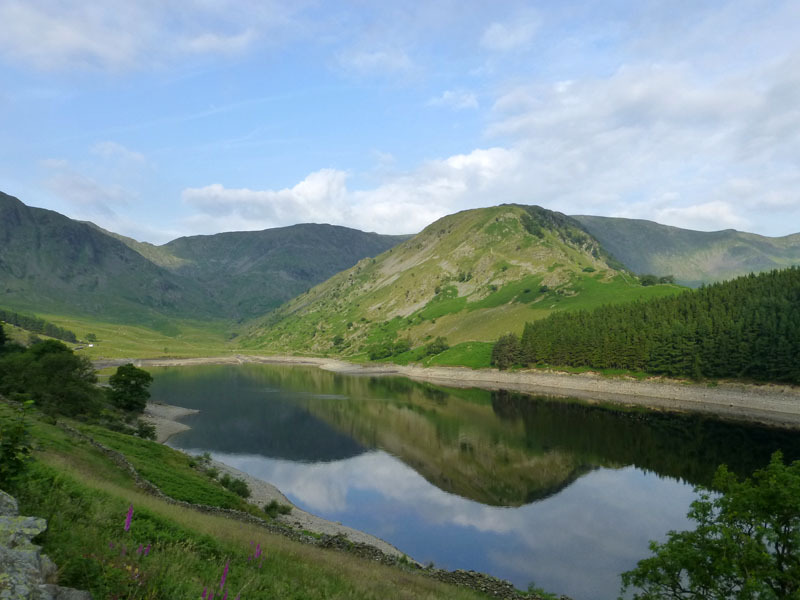 Route: Haweswater, Mardale Head, Blea Water, Mardale Ill Bell via The North Ridge, Nan Bield Pass, Harter Fell, Adam Seat, Gatesgarth Pass, Branstree, Selside Pike, Hobgrumble Gill, Forces Falls, Swindale, The Old Corpse Road over the hill and back to the car. 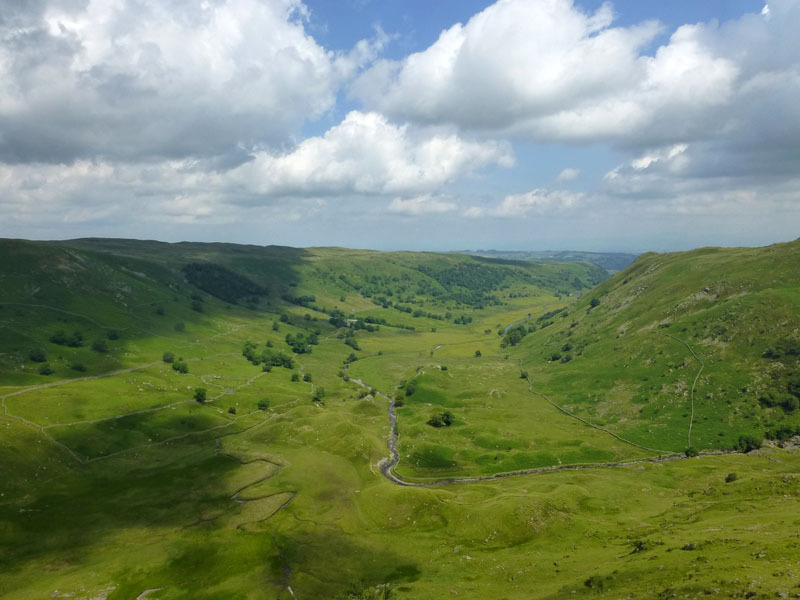 Weather and Conditions: Hot with varying amounts of sunshine. Contact Me via email - If you don't use "Outlook", just read the email address and send me a message from your usual email facility.